O Aware and Sincere Intellectuals and Politicians! On last Friday (25th January, 2019) in an address to the nation, Sheikh Hasina called for so-called “national unity” to take the nation forward. And she expressed her thanks to all parties, alliances and candidates who participated in the election to legitimize her tyranny. Afterwards, she invited all opposition parties, especially BNP-Jatiya Okyafront, to exchange greetings and have a tea-party on 2nd February, 2019 in Gonovaban. Following the same line, President Md. Abdul Hamid also emphasized for ‘national unity’ by iterating Hasina’s words in his address on the opening day of the 11th Parliament. Prophet Muhammad ﷺ said, «خِيَارُ أَئِمَّتِكُمْ الَّذِينَ تُحِبُّونَهُمْ وَيُحِبُّونَكُمْ وَيُصَلُّونَ عَلَيْكُمْ وَتُصَلُّونَ عَلَيْهِمْ وَشِرَارُ أَئِمَّتِكُمْ الَّذِينَ تُبْغِضُونَهُمْ وَيُبْغِضُونَكُمْ وَتَلْعَنُونَهُمْ وَيَلْعَنُونَكُمْ» “…The worst of your leaders are those whom you hate and they hate you, and you curse them and they curse you…” [Sahih Muslim]. Sheikh Hasina is from amongst this worst category of rulers whom the people have rejected and are continuously expressing their hate, cursing her and earnestly making du’a to All-Powerful Allah (swt) to free them from her rule of tyranny; and on the other hand, her hate and disregard for the people is also no secret. She is like those Allah Subhana Wa Ta’la decribed as deaf, dumb and blind.وَمَثَلُ الَّذِينَ كَفَرُوا كَمَثَلِ الَّذِي يَنْعِقُ بِمَا لَا يَسْمَعُ إِلَّا دُعَاءً وَنِدَاءً صُمٌّ بُكْمٌ عُمْيٌ فَهُمْ لَا يَعْقِلُونَ “Deaf, dumb and blind – so they will not return [to the right path].” [Al-Baqara: 18] We, Hizb ut Tahrir, call upon the aware and sincere people from the intellectuals and politicians to reject this deceitful call of Hasina and unite under the leadership of Hizb ut Tahrir in the political struggle to remove this rule of tyranny. At this moment of crisis, only Hizb ut Tahrir is capable of providing the correct and determined leadership towards liberating this nation. Firstly: Reject the current so-called democratic system with hatred, like you hate and curse Hasina, because, it is this rotten system of democracy which created and made space for the likes of Hasina to enter politics, to corrupt it and to secure her throne permanently. It is also clear that the democratic election is a tool for the Kafir imperialists to bring their agents to power or to legitimize their power, so-that in the name of the people’s mandate their agents can do whatever they want to serve their masters. Secondly: Reject the politics of dependency on the Kafir imperialists. You have witnessed that Hasina has again come to power deceitfully, and even the schoolchildren know it, whereas the Kafir imperialists, especially USA-Britain-India, have expressed their support for her in an unprecedented way; because, for them interest is above all else. America is working to strengthen India, to resist the emergence of the Khilafah in this region and to contain China. And for the strong regional strategic partnership with India, America is ready to sacrifice anyone or make any deals. Therefore, we witnessed that, only three days after this farcical election, the US ambassador in Bangladesh visited the Foreign Ministry of Bangladesh with an invitation letter for a dialogue between the two countries about the effective involvement of Bangladesh in the Indo-Pacific Strategy, and it should be noted that this meeting has already been concluded in Washington. 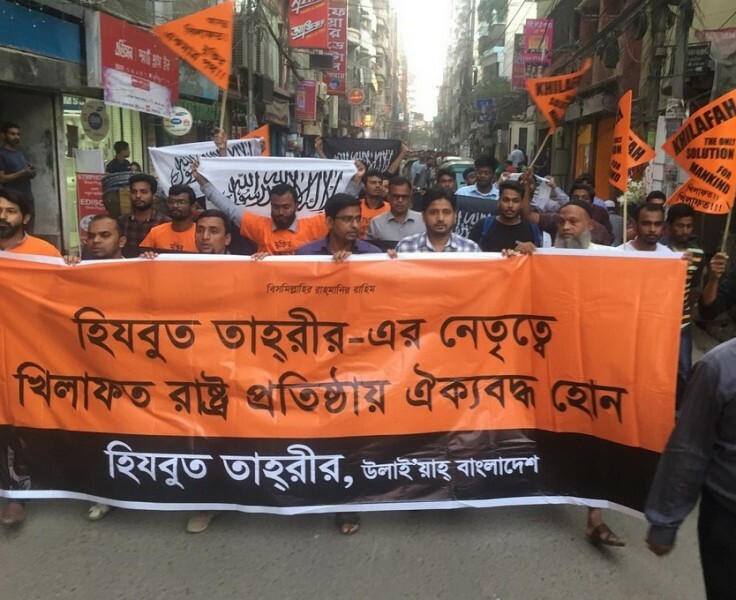 Thirdly: Join in the political struggle against Hasina under the leadership of Hizb ut Tahrir, and further strengthen the public opinion in the society along with the political arena and media that the Khilafah is the only way out from our current miserable situation. How long will you sit idle for another so-called free and fair election? Do you not know that even if there is a ‘fair’ election in which Hasina loses, the one replacing her will not be much better than her? Therefore, do not try to save this so-called democratic system from its deathbed by getting involving in various cheap struggles. Finally and most importantly: Demand from the sincere officers in the military to take the side of the people and Islam, because Allah (swt) has not assigned them the duty to protect the throne of this tyrant. Demand from your relatives and acquaintances in the military so that they remove Hasina and transfer the authority (give nusrah) to Hizb ut Tahrir to re-establish the Khilafah Rashidah. This is the only and practical means to be free from this tyranny. And for participating in this noble work Allah (swt) will honor you and honor the nusrah givers with great honor, insh’Allah, in the same way that He (swt) honored the Ansar (ra) and their families who provided material support to RasulAllah ﷺ to establish the Islamic rule in Madina.